By Pierre Frigon - Contributor · March 25th, 2019 at 4:04 p.m. Eating can get exciting when you don’t know what to expect. Rezlead held a great final event this year, “dining in the dark,” a dinner where all attendees wore blindfolds in a darkened room. The meal offered the opportunity for people to focus on their other senses for the duration of the two hours the event was held for, and thus offered a fascinating new way of enjoying food. 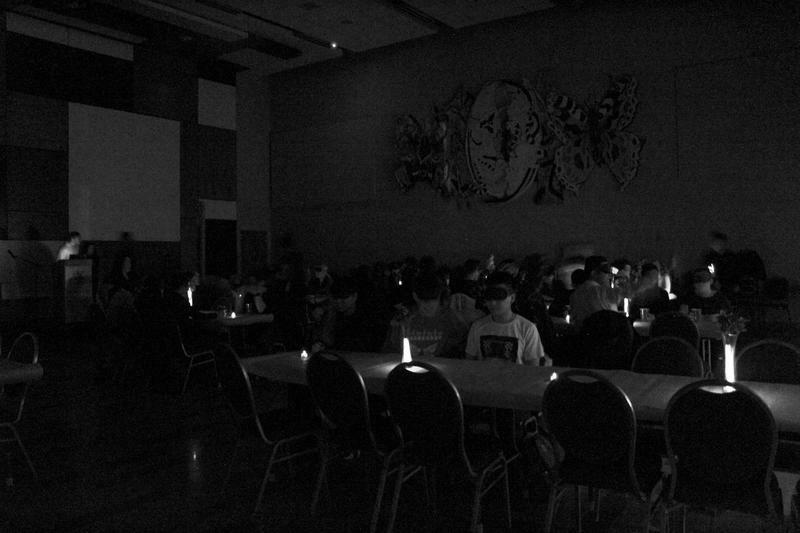 The dining hall was dimly lit, and they used beautiful glow in the dark lamps to designate tables. The room was filled with ASMR sounds put on by the night’s entertainers. People had a lot more trouble eating than expected, but the attendees agreed that that was part of the fun. The term “don’t play with your food” definitely didn’t apply for Dining in the Dark. Dinee Kiyan Rogers described the experience as “strange, yet thrilling,” because of the beautiful sounds mixed with the strange intimacy of eating and socializing with people you can’t see. In the end, Capela’s worries were washed away. It seems the oddities, and the fact that people were pushed out of their comfort zones, really added to the experience. 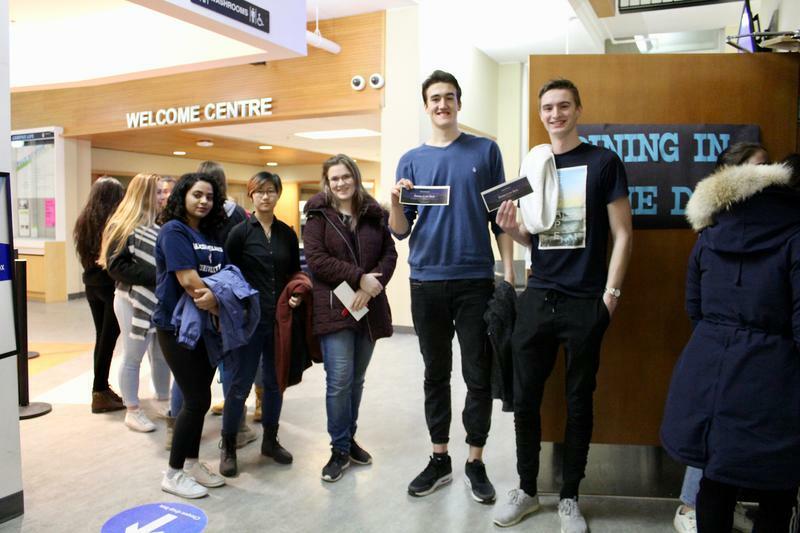 Here’s to hoping UBCO continues to host more events that push people to grow, offer unique experiences, and inspire creative risk-taking for those running them and those attending.